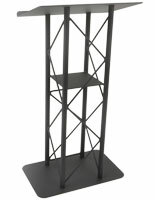 This Presentation Stand Is In Stock and Ships Today Before 1PM EST! 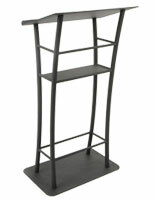 You Could Have This Lightweight & Durable Pulpit Tomorrow! 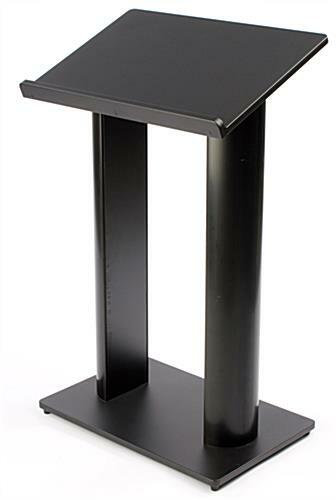 This black lectern provides a reading podium for a lecturer. 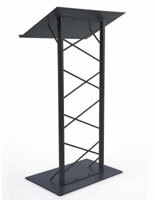 The black lectern accentuates the front of a classroom to draw the student attention to the presenter and lesson at hand. 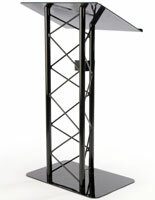 This aluminum truss presentation furniture, black lectern is also lightweight to allow it to be moved by a single person. 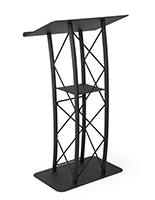 Every fashionable speaker stand is a fantastic and modern trade show metal podium. 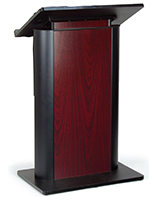 This black lectern, such as aluminum speaker stand, or fashionable presentation furniture is necessary and helpful in a conference center. 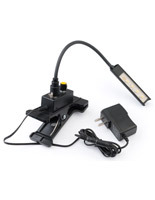 With its smooth and sleek lines it is sure to draw the attention of every one in the room. 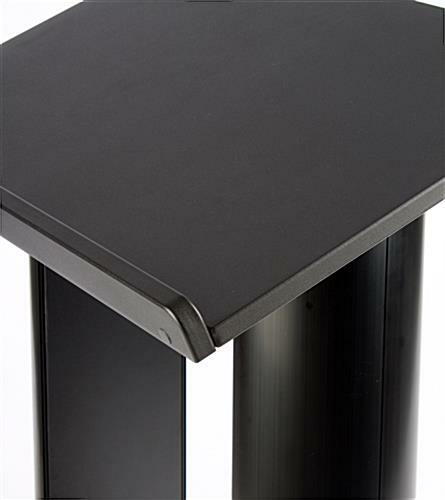 The black lectern, such as truss presentation furniture, or speaker stand is constructed of powder coated MDF on the top and bottom. 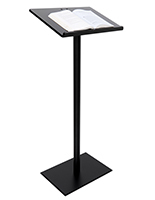 This material is very durable and scratch resistant so that you can have worry-free years with this stylish lectern. 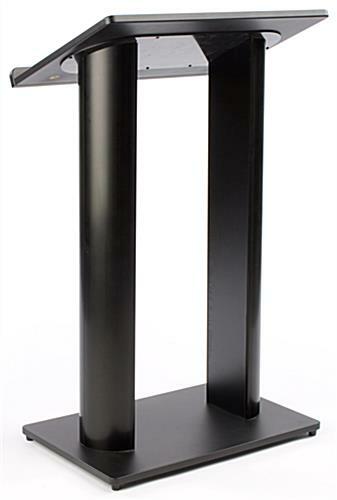 A slanted top speaker stand, black lectern provides a contemporary podium to ensure your presentation is a hit! 26.8" x 43.5" x 17.5"